It would be easy to approach the topic of Command and Control, the latest from Robert Kenner (Merchants of Doubt, 2014; Food, Inc., 2008), with detached archness. Leveraging the ineptitude of the US military’s bureaucracy against the dire straits accidentally brought on by the 1980 Titan missile silo explosion in Damascus, the film could make for a pitch-black comic tale of real-life American foolhardiness. And in the hands of someone like Michael Moore, the film may have taken this glib tack. But while Kenner does not flinch on parsing through all of the uncomfortable details of a fatal accident that brought the country within a breath of nuclear disaster, he also humanizes the material and curtails any fun that may be had at the expense of America’s untenable military might. The temptation is still there, but Kenner’s tragicomic exposé invites sympathy for his talking heads and saves the ridicule for larger, systemic targets (the Nuclear Arms Race, the politics of military rank, lax labor regulations, etc.). Leaving room for the grief and guilt inherent to this sort of catastrophe, which may otherwise be left to history books, elevates the film above a simple “as it happened” recitation of details. Ultimately, Kenner’s refusal to hide behind historical distance and dull the pain is especially impressive because the film comes dangerously close to embodying the exact kind of administrative coldness that it eventually deflates. 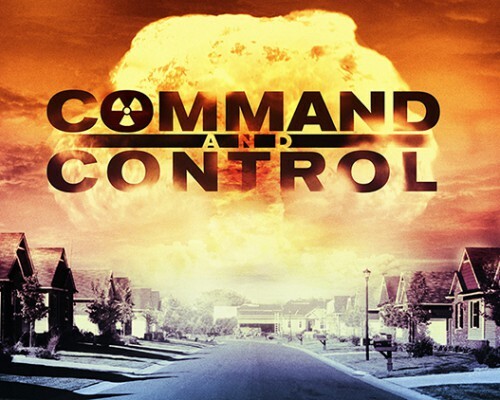 Command and Control gives a mostly eyewitness account of an otherwise ordinary workplace accident at a nuclear warhead storage facility that could have led to full-scale devastation in the American South. Keeping track of the details surrounding how this accident happened, and what was done to ameliorate the situation, is a great concern of the film. So much so that the second-act escalation of focus on the event’s play-by-play gets a bit dizzying. To give a narrative over to a group of people who made a career from exacting, detailed information is to risk some boring storytelling, but Kenner’s patience (and by extension, the patience he asks of his audience) mostly pays off. For one thing, the subjects’ obsession with detail itself becomes a fascination. There’s the usual thrill of being let in on military procedures like access codes that are burned after reading and schematics of top-secret facilities. But then there are idiosyncrasies that feel tailor-made for mockery, like the sanctity with which binders of checklists are regarded. Secondly, the incorporation of de facto narrator Eric Schlosser, the author of the eponymous 2013 non-fiction book that inspired the film, allows for an analytical core and contextual backdrop that would have likely been missing had the film depended solely on eyewitnesses. He also provides the call to action, connecting America’s history of nuclear hawkishness to this potentially apocalyptic scenario and assuring the viewer that one of the only things preventing the Damascus warhead and others like it from detonating accidentally is luck. The film escapes the weight of wonkishness through the power of pacing, as the lull gives way to a narrative and literal explosion. Members of the surrounding community trickle in as the atmosphere at the doomed facility hits a frenzied pace, providing a wealth of disparate voices (a farmer, a radio DJ/reporter, a US Senator, archival footage of then-governor Bill Clinton) in that quirky way that only a documentary can. At the exact moment that it seems the film has eschewed this communal oral history in favor of the hyper-detailed trudge of the military report, attention shifts back to a multi-angle account of explosive spectacle. And from those ashes, only grief emerges. Several men that worked at the site express their guilt over the loss of their colleague David Livingston. More still recount the injustices of being reprimanded for failing to follow protocol in their emergency rescue efforts. And the specter of paranoia over the safety of our remaining nuclear weapons is left to hang over the film’s conclusion. Command and Control also gives voice to the complete dissociation required of those that make careers from the business of war. Perhaps it is more accurate to say of the men interviewed for this film that their reality is not ordinary reality. Undercutting this is the uncanny familiarity of workaday concerns (inept bosses, unfair hours, annoying rules) that they share with the average citizen; the difference being that a “slip-up” at work here could set the nation on a course for mass destruction. The verisimilitude of the film’s reenactments reflects this blurring of definitions, opting for cutaways that look like archival footage that doesn’t actually exist. For these, art director William Stewart and prop masters Larry Anderson, Andreas Langley, and Matthew Rebula deserve considerable praise. It’s rare that the reenactment conceit of this sort of documentary can provide thematic weight, but the fidelity of the staged footage in this film serves a larger purpose. After watching those remembering the accident sway from jovial gallows humor to guilt-wracked weeping and expressions of remorse, the gravity of the country’s tenuous relationship with nuclear power sets in, and it becomes easy to question if what we are watching is real. The sobering truth is that it is, and this is a fact that warrants a little sincerity. Got a Bold Idea for Social Change? Posted in Side Shots Film Blog and tagged Documentaries, Eric Schlosser, Military. Bookmark the permalink. Trackbacks are closed, but you can post a comment.